There’s nothing like a hot cup of coffee or tea on a cold morning to get you going. But if you get distracted and can’t finish it right away, it turns into a tepid mug of yuck. Some people might be ok with just sticking that mug in the microwave for a quick warm-up, but we think that ruins the flavor. 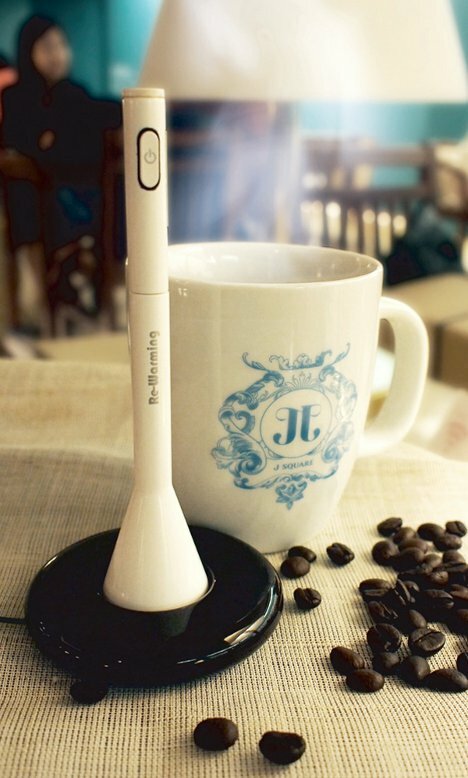 The Re-Warming Stick, a concept from Hyewon Lee, is a neat warming wand that would put the heat back into your hot drink almost effortlessly. The Re-Warming Stick charges on a small countertop base. 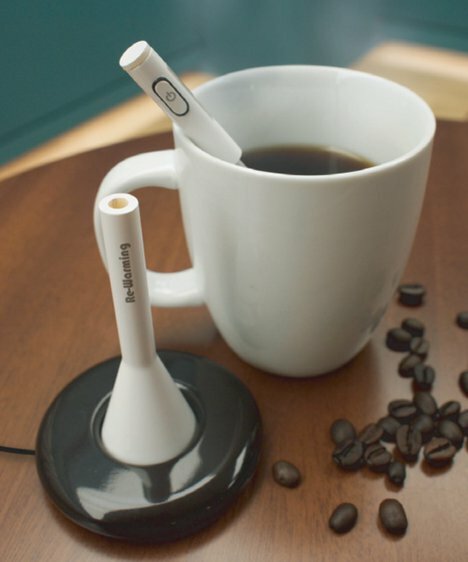 When your drink needs a little refreshing, you take it out of its charger, flip the “on” switch and put the stick into your beverage, kind of like a plastic stirring stick. The idea is far from new, but this particular version of the concept is intuitive and would be stylish enough to keep out on your counter full-time. See more in Home & Personal or under Gadgets. January, 2012.